Reading progress update: I've read 107 out of 288 pages. 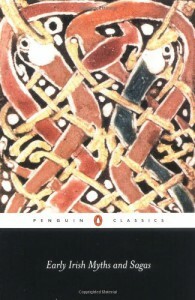 Quite the pagan Celtic tale from Ireland! It starts off cryptic and convoluted but leads to the King of Eriu breaking all his geiss (taboos) in one night and facing death during a huge battle, described only briefly but preceded by a huge description of all the heroes who will fight at the battle. So huge it tried even my patience for such things. There's a great modern fantasy tale to be told from adapting this story to contemporary narrative conventions. Could work well on film, too.